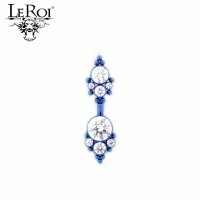 This 14 gauge navel curved barbell is part of Le Roi's Haute Couture Bijoux collection. The barbell is machined from ASTM F-136 implant grade titanium and features two gem clusters with bead accents. The threaded top gem cluster has 3mm main gem, one 2mm center outside gem and two 1.5mm outside gems. 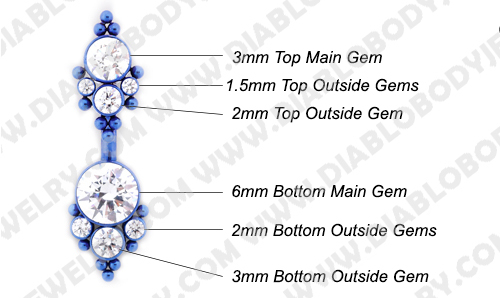 The fixed bottom gem cluster has 6mm maim gem, one 3mm center outside gem and two 2mm outside gems. This barbell comes in lengths from 5/16" to 1/2". Available in a sterilized pack for an additional $4.99. 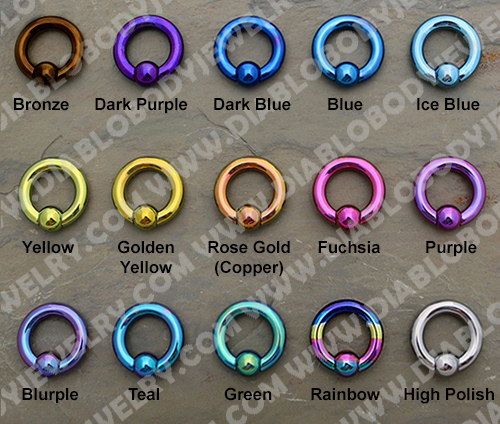 Length: 5/16", 3/8", 7/16", 1/2"
CUSTOM ORDER ITEM: This is a Custom Order item and will take weeks, depending on the manufacturer, for delivery. 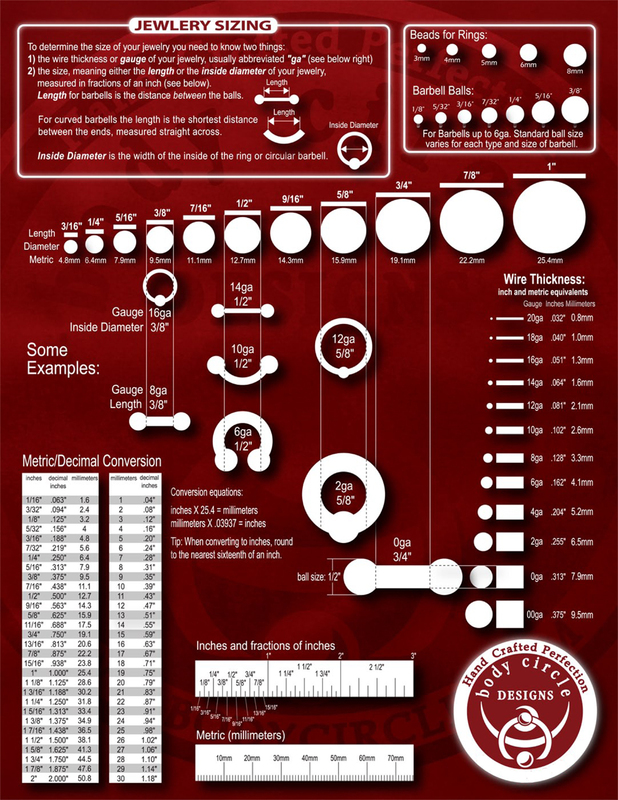 Please check the Custom/Back Order section of our website for current estimated time for each company. Be sure you know what you want. There are no returns accepted for Custom Orders.